The new Energy Performance Certificate shows the impact of having the solar panels installed and results in the very pleasing score of 100. The only suggested improvement is the installation of a wind turbine (and I’m not going to bother with that). The estimated 3-year energy costs are only about £500 lower than for my old house (which was thoroughly average in Band D – but much smaller) but the solar PV is predicted to offset those costs almost completely. 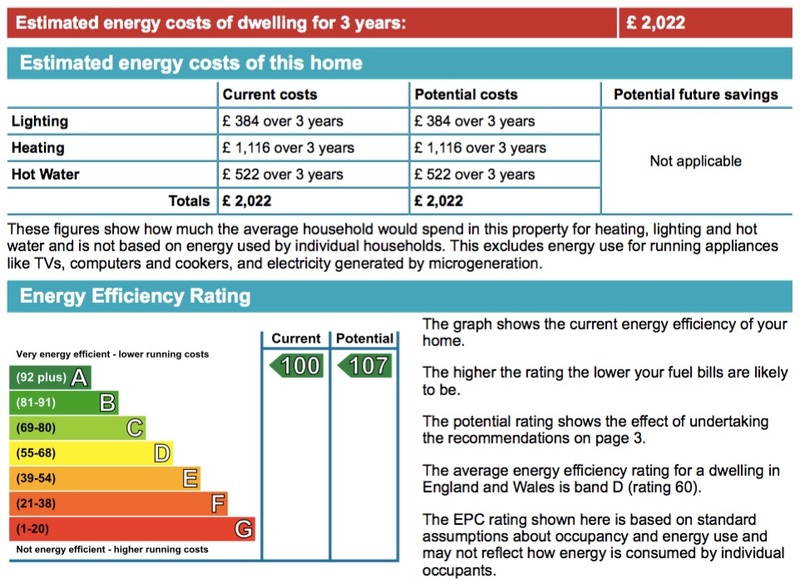 The score of 100 indicates that the house will generate as much energy as it consumes (at least for the basic services of heating, lighting and hot water) so the net cost should be zero. Ever since the build started the plan has been to host a visit for the nearest (Nottingham) AECB Local Group. The main challenge has been to gauge the “best” time, when much of the building had been completed to provide enough to look at but before some of the interesting (e.g. air tightness) details got covered up. Today seemed like about the right time, despite clashing with the International Passivhaus Conference. 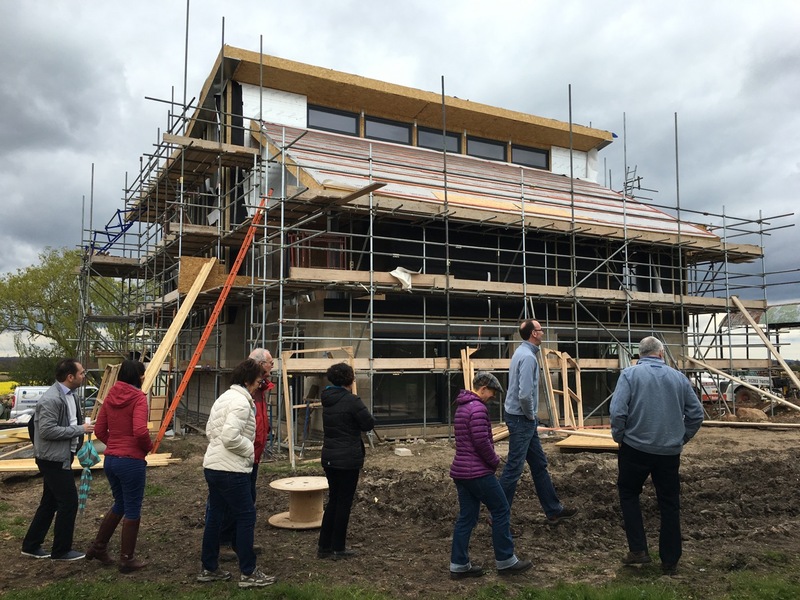 We had a good turnout of about 20 people, some of whom joined us for an enjoyable chat about energy-efficient building over lunch beforehand. Thanks to Steve Yardley my Main Contractor for giving up his Sunday afternoon to answer lots of questions and to Gil Schalom for arranging the visit and for providing the photo below. A further visit will be scheduled when the building is completed.